No visit to Australia is complete without enjoying the view from the Great Ocean Road. Running for over two hundred miles along the coastline in the area of Victoria, the view is breathtaking any time of the year. There are plenty of interesting local restaurants to try along the way, as well as several great places to stop and enjoy a beer. 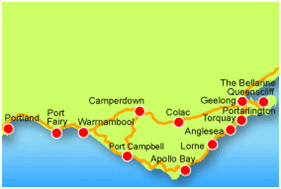 The Great Ocean Road is a wonderful drive over a weekend or stay a little longer at a holiday rental property. Along the Great Ocean Road and beyond, you will be able to experience some of the world's most breathtaking coastal regions. See huge cliffs, raging surf, tranquil bays, lush rainforests and fascinating wildlife.